This virtual instrument has 238 phat techno kicks sampled from pure analog drum machines. M bank contains samples of kicks Jomox M base, X bank contains sounds of Jomox X base box, Tr bank contains - you guess, analog kicks from famous legendary Roland TR 808/909 series and VAR bank contains samples from different analog rare and exotic drum boxes from many many developers. You have possibility to filter high frequency of any bank and to mix sounds together to create Jomox & Roland Kick for example. The idea was to put all analog sounds together to save time for creativity and to have easy access the best selection of real analog kicks, essential for techno production. What really do this instruments different from just samples is that you can tune individual analog drift to every kick. That makes kick line less mechanical repetative, makes it more analog. 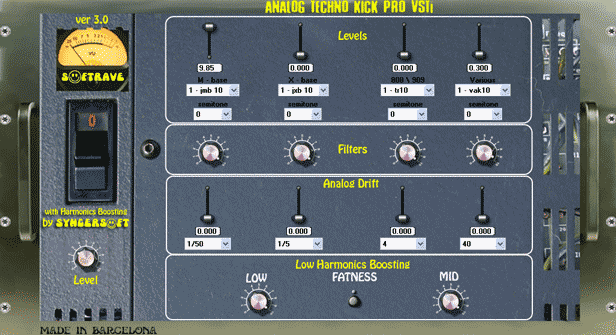 Look at this pictures of waveforms of kicks coming out of Analog Techno Kick, every kick is slightly different. This difference create feeling of analog presence in your mix. In section Low Harmonic Boosting you have control over boosting of low and low mid frequencies and one button to add phatness to the sound of kick. Recommended for techno, trance, hip hop, dubstep, house, gabber, drumºnºbase, industrial, experimental, idm, electronica, kickºn base, any other style that need good warm kick or even a superkick. Why i did this instrument. I did it for myself because many times i was missing powerful low punchy phat super meat kick in my tracks. I tried samples, instruments, chains of plugins on top of kick but it was always a compromise. And lucky persons who have boxes they always have better sounds. The problem was that boxes were expensive, all those Jomox and Roland toys with perfect sine wave cost unbeleivable amount of dirty money. So one day i`ve sampled all analog kicks that i can find, put them all together and made a first device - Analog Techno Kick. It was phat and powerful but it has a lot of compromises. But many people like this device so i felt that i`m going on right direction. So after half a year of techno meditation i combine my rompler with HarmonicBoosting technology by SyncerSoft and finally miracle happens. Walls and windows of my studio start to vibrate from phat subbase the way i want. So now the balance of techno music all over the world can be changed radically. 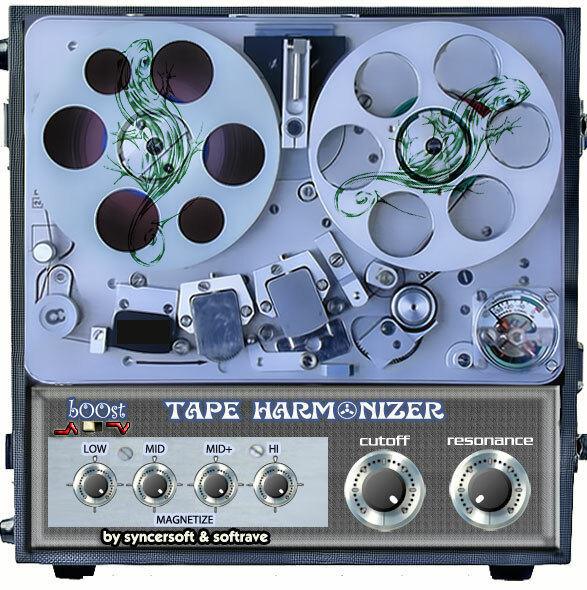 You can download demo and try this Analog Kick Phatness in your tracks and you will hear what i mean.